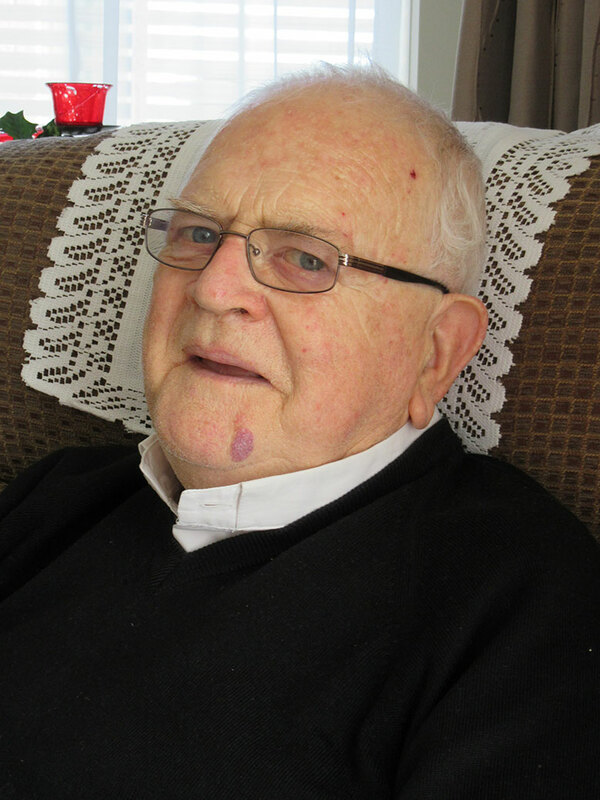 WelCom June 2017: When Fr Don Don Rancho of the Catholic Parish of Whanganui – Te Parihi Katorika ki Whanganui, announced to the congregation at Sunday morning Mass on 26 March 2017 that Fr Des Levins had died, there were exclamations of disbelief. A minute’s silence was held as a sign of respect and Mass was offered for this well-known and much-loved pastoral priest. Fr Levins had died peacefully at Nazareth Rest Home the previous afternoon. As the many stories were shared at his vigil rosary, words shared included ‘gentle giant, affectionate, caring, sometimes challenging, compassionate, respecting everyone equally, Vincentian, Irish wit, zealor for souls, encourager of the Catholic faith, likeable and good sport’. In 2009, at the launch of a fundraiser cooking book, Fr Des exchanged his roman collar for an apron and chef’s hat to demonstrate how to make a proper Irish trifle. In his distinctive Irish brogue he explained to the large crowd, that the Kiwi custard trifle shouldn’t be confused with the genuine Irish trifle. His dessert awarded him a grand round of applause to which he responded with a deep bow. Born in Dublin he was the youngest of seven siblings. He grew up always wanting to be a priest. After ordination in All Hallows Seminary in 1966 he made his way to New Zealand serving in Wellington, Palmerston North, Hastings, Pahiatua and Whanganui where he spent the last 25 years. Worried about coming to New Zealand, his first query was if there were any snakes here because as a child he had been told ‘hell is what you dislike most in this world’, and he didn’t want to go to hell! Fr Levin’s eldest niece and goddaughter, Mrs Rosemary O’Gribbin, travelled from Ireland for his funeral and spoke with emotion about the affection New Zealand had shown to him. ‘Uncle Des, on his return journeys home to Ireland, always spoke how the people in all the parishes he served opened their homes and showed great love reminding him of the scriptural verse about the stranger being welcomed. Thank you all from the bottom of the family’s heart for the warmth you have shown him,’ she said. ‘Wouldn’t change a thing,’ Fr Des said celebrating the occasion of 50 years a priest on 18 June last year. Bishop Peter Cullinane led the Requiem Mass with Bishop Owen Dolan and 20 priests in a packed St Mary’s Church on Saturday 1 April 2017. Fr Levins was buried at Mangaroa Cemetery in Hastings the next day. An chuid eile i siochain Fr Desmond Paul Crawley Levins, 1934‒2017.